Post contributed by Tony Grant. All rights reserved, Tony Grant. At the start of our Easter Holidays, on the 11th April, Marilyn, Abigail and myself drove up to Scarborough to spend a few days. 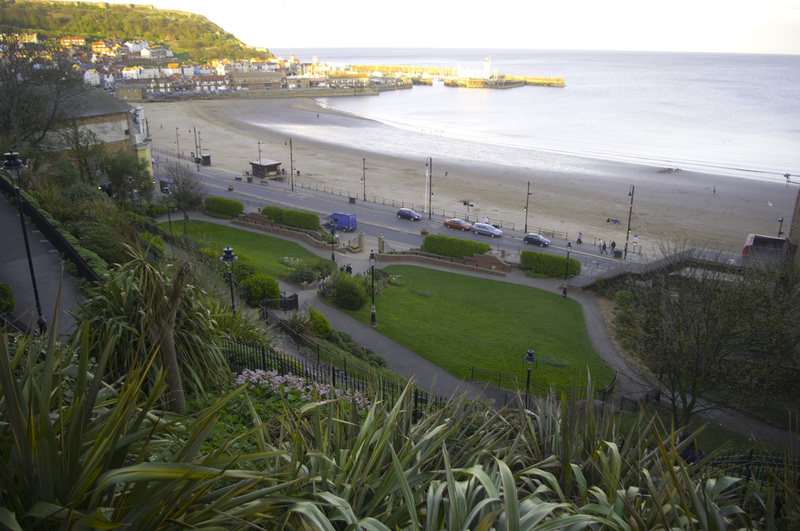 Scarborough is on the beautiful rugged Yorkshire coast in the North East of England. We wanted to visit somewhere different and take a refreshing break from South London. We spent three days up there and drove on the North Yorkshire Moors, had a day in York, visited the fishing port of Whitby and went to Castle Howard, a few miles east of York, for one whole afternoon. 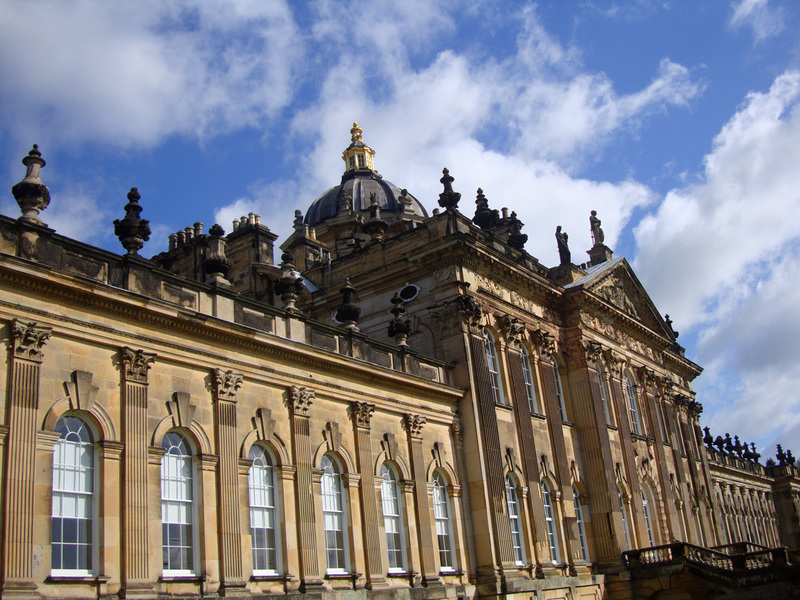 Many of you will know Castle Howard as the wonderful, rich pile, used in the film and TV adaptations of Brideshead Revisited. 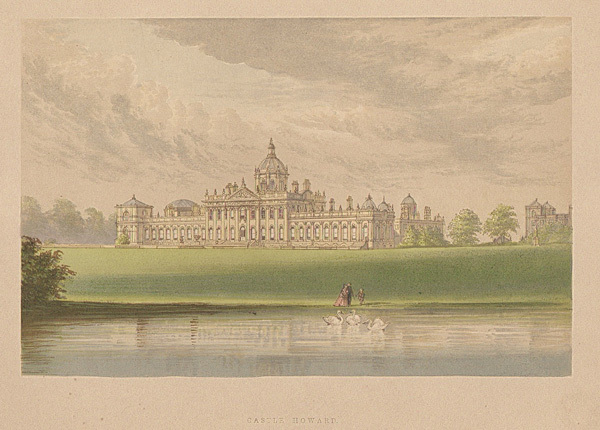 Castle Howard has been home to the Howard family for over three hundred years. 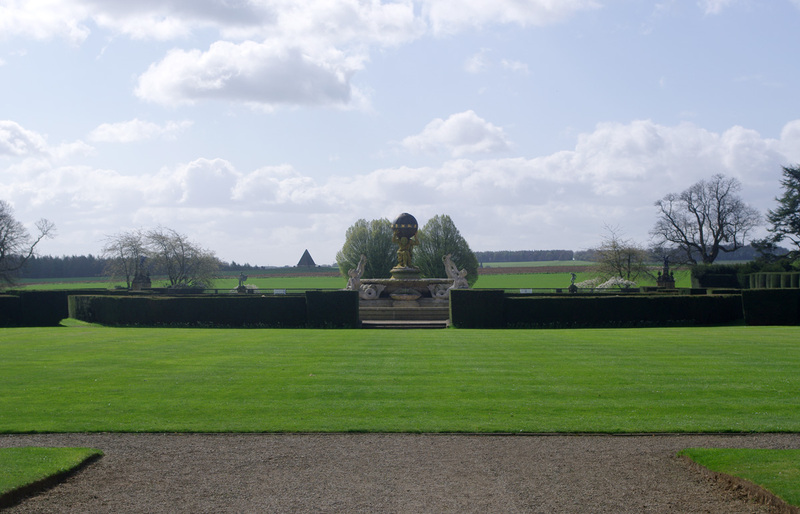 It is an 18th century residence set within over a thousand acres of landscaped gardens and vistas. Marilyn, Abigail and myself took a tour of this wonderful place. 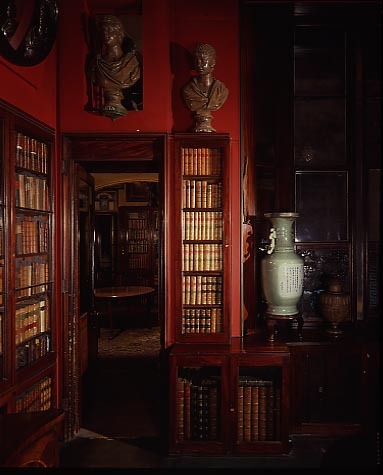 One of the things that has always interested me and I have often wondered about, is what books and authors an 18th century gentlemen has on his shelves. 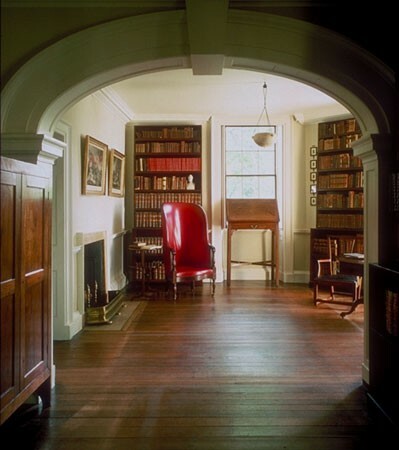 Reading Claire Tomlin’s biography of Jane Austen, it is her father’s library, consisting of hundreds of books that was part of Jane’s partly self lead education at Steventon. A short while ago we visited Sir John Soane’s house in Holburn. He had an extensive library. I asked one of the assistants in his house if I could take pictures. I was told politely that I could not. I had a discussion about the books on John Soanes shelves with the assistant but he did not know much about them. I looked at them, stared at them closely, extremely closely and tried very hard to remember titles, authors and general themes that ran throughout the library. My memory is not that good. I remember large leather bound atlases, the works of Shakespeare, books containing prints and sketches of ruins from classical Greece and Rome, philosophies, histories and there were many religious tracts. There seemed to be a variety of dictionaries. It is interesting to remember that Dr Johnson had many rivals before his Oxford English Dictionary became the definitive one. 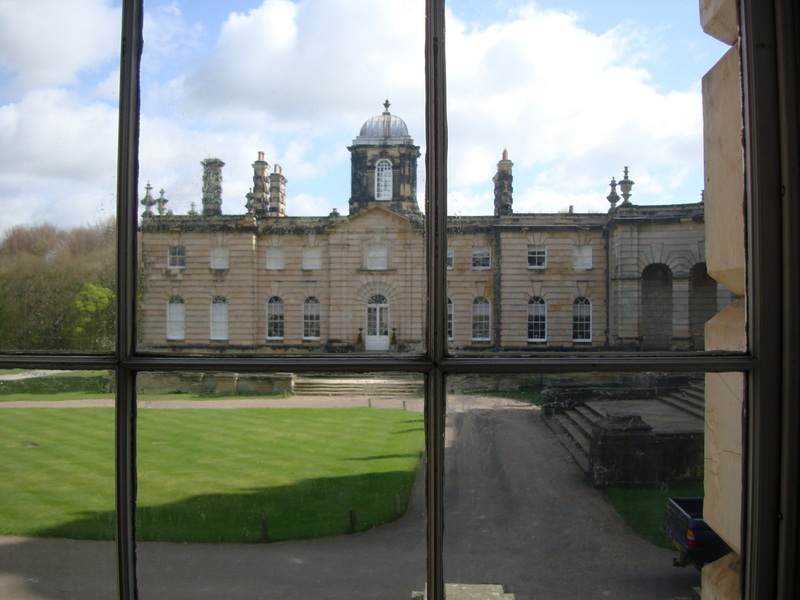 Anyway, getting back to Brideshead, sorry, Castle Howard. There is a magnificent library there. Shelves and shelves of beautiful volumes with gold-tooled titles and gold leaf flower and leaf patterns adorning, the light tan, dark brown and black leather bound volumes. I asked, timorously, of a smiling gentle looking lady standing to one side of the library, the gallery assistant, if I could take photographs of the books expecting a negative reply. “Yes,” she said enthusiastically, “go ahead, and are there any particular books you would like to see?” I couldn’t believe my luck. 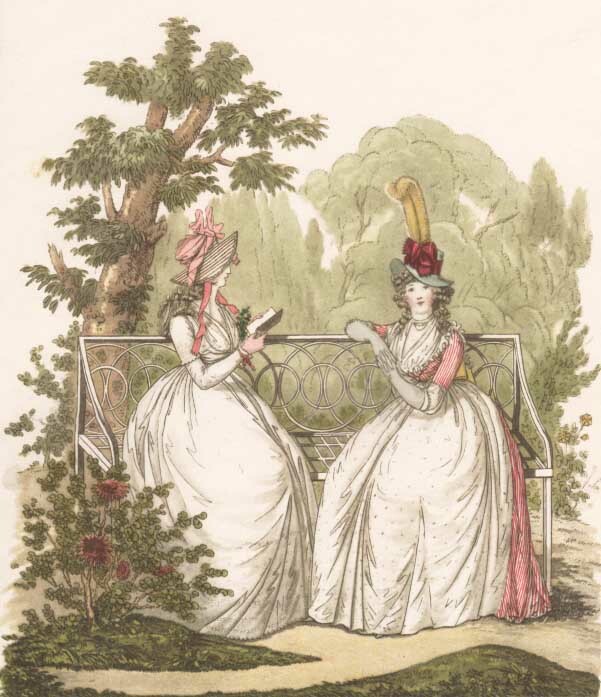 She continued,“We have many first editions by great authors here.” I did ask about Jane Austen first editions. She thought there might be some somewhere amongst the novels section. We looked, but could only find Swift, Dryden, Byron, Congreve and others. We couldn’t find Jane. These first editions were there, on shelves, within touching distance. AAAAAGH!!!! 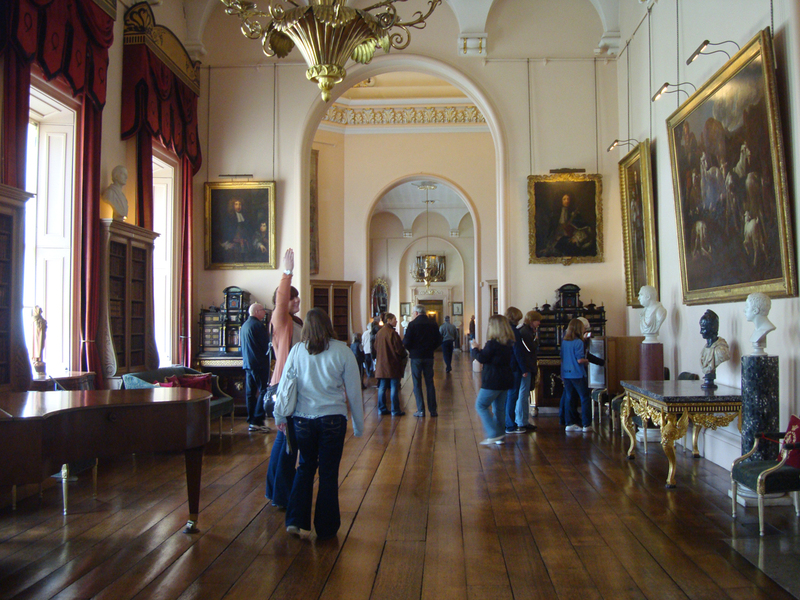 One thing I discovered as we went around Castle Howard was that the gallery assistants were not your run of the mill gallery assistants, these people know a lot about the contents of the rooms. They had really studied what they watched over. An example was when we walked into a bedroom and on the wall was a portrait of Henry VIII and it was a Hans Holbein but the same room had Gainsboroughs and Lawrences, on the walls too. No, not copies, the real thing. Rooms throughout the Castle were full of original masterpieces. I couldn’t believe it. A lady there when I asked her, gave me a great art historians analysis of one particular Gainsborough. She, never mind the painting, was the real deal. So back to the books, where I started. I was allowed to take photographs of the books. I must have looked odd. 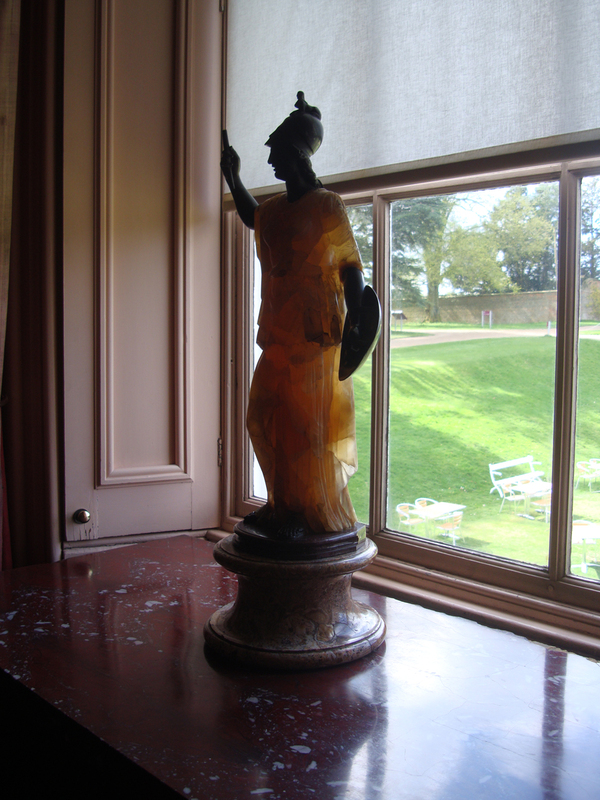 Other visitors looked through the windows at the magnificent views around the grounds, or studied beautiful gleaming vases and glanced at magnificent paintings and there was I, getting close and personal with brown dusty looking things crammed on shelves. I am a constant embarrassment to my family. Ha! Ha! Some of the books I came across were by authors I had never heard of, for instance, “Col. 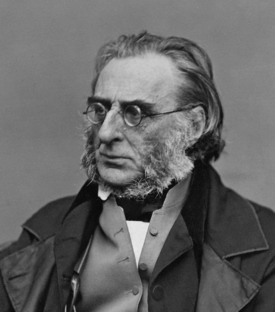 Napiers Peninsula Wars.” I discovered later that,Sir Charles James Napier was born in August 1782 and died in August 1853. He was a general in the British Army and became the British Army’s Commander in Chief in India. Napier commanded the 50th (Queen’s Own) Regiment of Foot during the Peninsular War in Iberia against Napoleon Bonaparte. I would have loved to have met him. Wouldn’t you? Imagine him at your dinner party. Other books on the shelves included: Davies’s Micelanie, J. Orton’s Works ERASMUS, Murphy’s Works, alongside some more tried and tested volumes that have lasted the travails of time: Ben Johnson’s Work, Defoes’ History of The Stage, Drydens Plays, and Smollett’s England, to give you a flavour and taste of the contents of this library. I tried to search for information on some of the more obscure authors and as you can tell I found a bit about Colonel Napier. Many of the authors I could find nothing about, but an interesting discovery I made was about Murphy and his works. He was an Irish playwright. Here are some play titles to slake your thirst and satiate your appetite. Arthur Murphy wrote about eighteen plays in this vein. I wonder about The Upholsterer though. I’m sure it was a very “comfortable” play. You would probably fall asleep on your deeply “upholstered” seat during it, mind. HOW can you write a play about upholstery??? He also wrote biographies of David Garrick, Samuel Johnson and Henry Fielding. 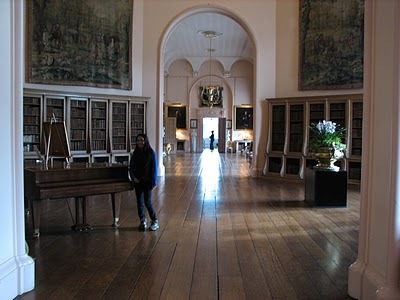 With my experiences in two 18th century gentlemen’s libraries, Sir John Soanes house in Holburn, and the vast and airy gallery of the Howard family at Castle Howard, amongst their fine varied brown leather covers and illuminated gold leaf lettering, what sort of conclusion can I come to? After a swift and furtive voyeuristic delving into their interests and source of deep thought and emotions? What can I say? The book titles have a familiar ring to them. 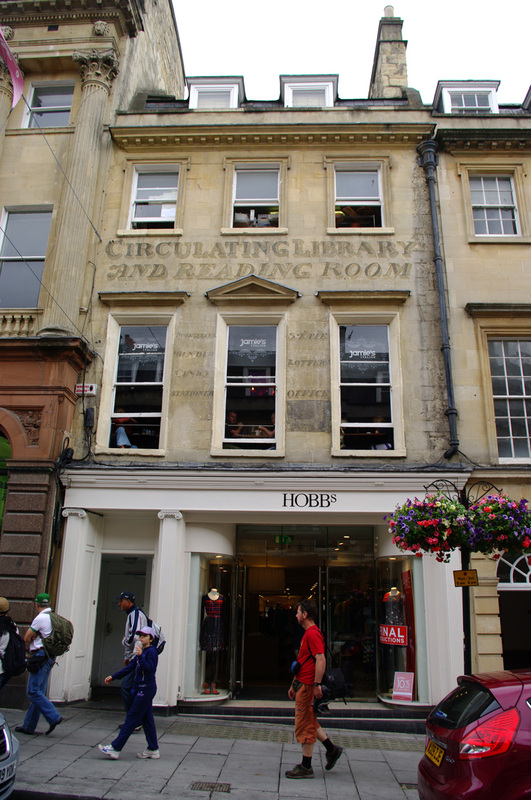 If you spend an afternoon in a Waterstones [bookstore] it too has many of the same book divisions and sections as those two 18th century libraries. Nowadays the novel provides the larger section in Waterstones but at Holburn and Castle Howard they provide a rather smaller section. 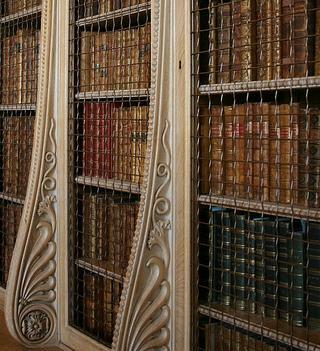 History, biography, philosophy, poetry, plays and dramas, atlases and travel accounts are there in varied abundance. 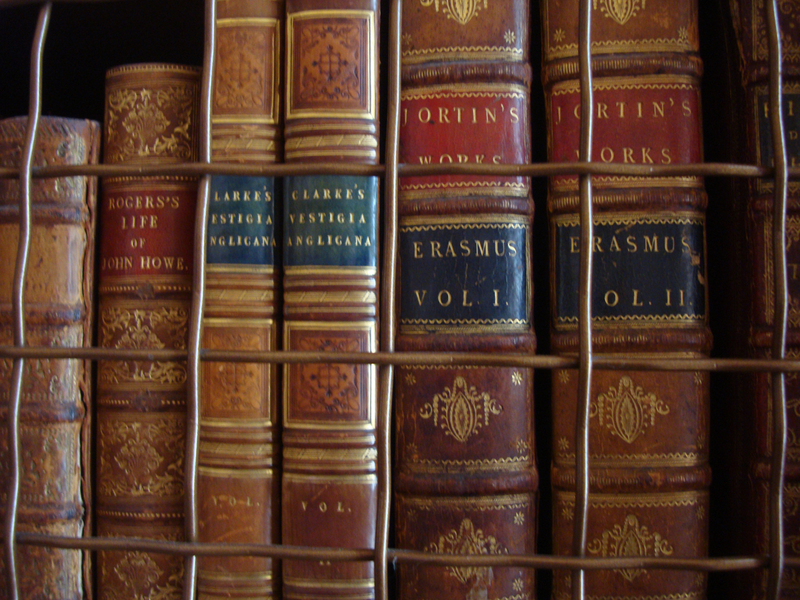 Dictionaries are very prevalent in the 18th century library and dictionarys produced by different people using different criteria. In the 18th century there was a great interest in words, their meaning and origins. 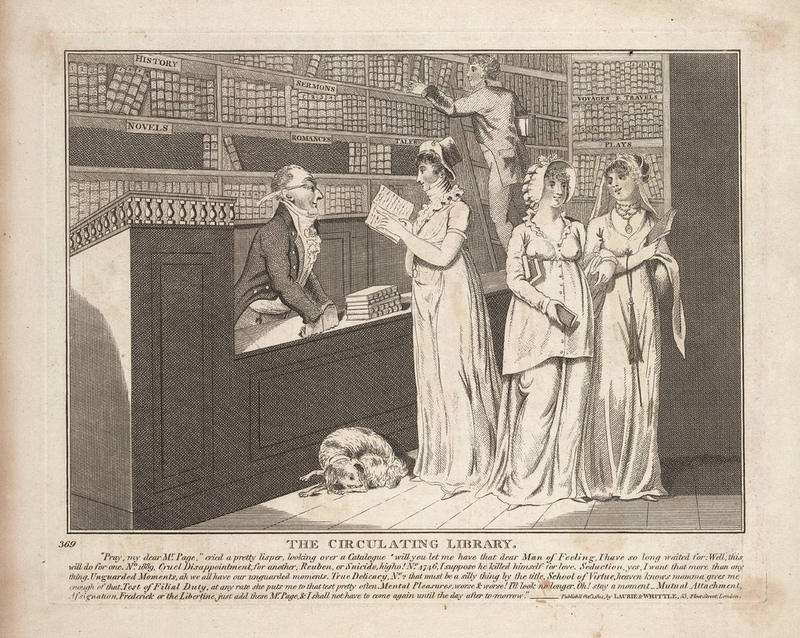 There was a hunt going on for words in the 18th century and need for conformity. There was the need for one language and one set of words accepted by all. You can only speculate the economic consequences. Local dialects were all very well within a locality. There was a sort of race to be the best amongst word gatherers, dictionary makers. Of course, we know now that Dr Johnson won. Hurray!! In 1815, Thomas Jefferson sold 6,487 volumes of his vast collection of books from his library at Monticello to the U.S. Library of Congress. Many of these interests shown in the books displayed can be connected to interests in the classical world, which is not so much of a concern these days for the majority, unless you do a degree or are doing the Romans at school, or are watching a BBC documentary about Delphi or the Olympics. 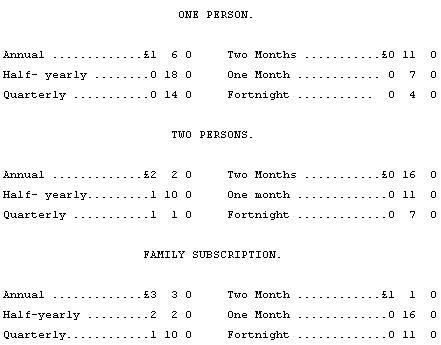 I imagine plays by Dryden or Arthur Murphy were in great demand, because people didn’t have television and radio then to entertain them. We can see people’s interest in owning written drama scripts, reflected in Jane Austen’s own family’s exuberant enacting of plays and the writing of them at their home in Steventon. Jane uses the play, Lover’s Vows, as home entertainment in Mansfield Park, with many meanings and personal interactions connected to it. 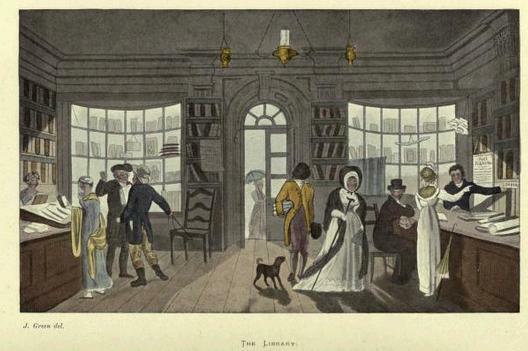 So there are differences in the use and purpose of books between now and the 18th century, but the subjects covered and the systems of organisation were recognisable. Melvil Dewey (1851-1931) didn’t create his system until later, but the general system used for organisation was grouped in familiar ways. How we think about the world was being formed. Dewey and some others made it far more sophisticated. The organisation of books has had a big impact on the way we think and learn. So there you are. We are not the only generation with a thirst for reading. The next time you visit a country house or stately home, get in amongst the musty smelling, brown leathery things. They will speak volumes to you. 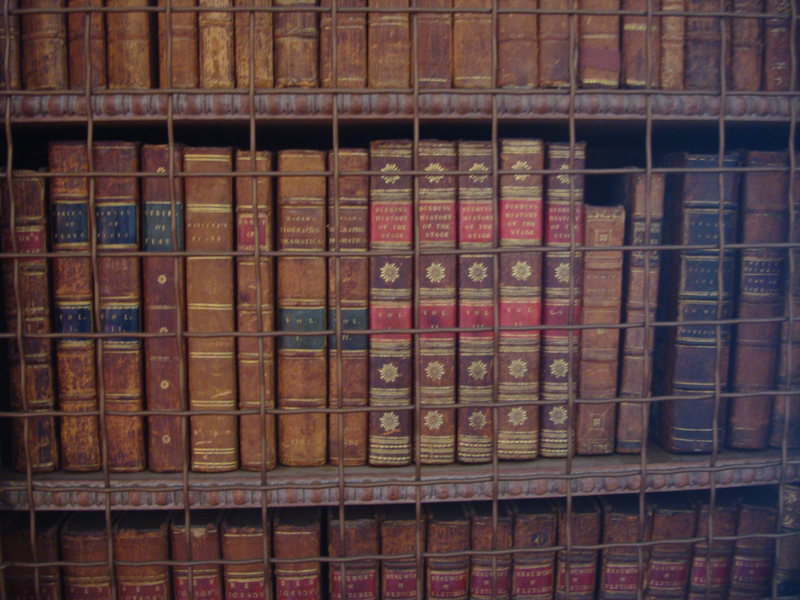 Image of the Domesday Book at Castle Howard Library.